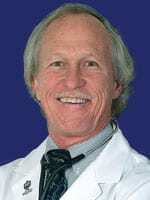 This morning on Ask the Doc, Dr. William Whaley is covering skin health. The audience asked: What can lead to a blood pressure spike out of the blue if you are on regular blood pressure medicine? If someone has a badly bruised tendon on the back of their ankle, is there anything that they could do to help the bruise heal quicker? Other than just waiting it out. A small red non itching rash appeared on the top side of my hands a week or so ago. The rash seems to be gone but the places it was are still much dryer and tougher than my other skin. Should I be concerned the rash is not fully gone? Can a person develop eczema as an adult? This segment is made possible by Dr. William Whaley and Georgia Cancer Specialists Affiliates of Northside Hospital!